The Sundering Effect is a big deal in the case of most force user and possibly some non-force users. It is not known yet how the diversion of the flow of the force could have repercussion that extends to others beside force users we have been told. 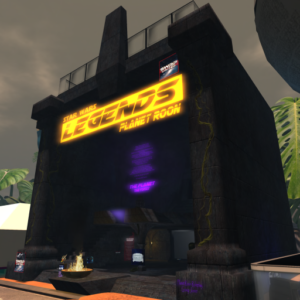 GNW travel to Yavin IV to get a heads up on the Sundering Effect. GNW had the pleasure to interview Master Spintrus who explained to us all we need to know about this terror that is plaguing the Galactic Community. We learned from Master Spintrus that the Sundering Effect is not a virus but a device created by a rogue group of darksiders calling themselves the Assembly. The Assembly are radicals who feel that the galaxy is better off with out force users and are willing to give up the force as long as the playing field is leveled. 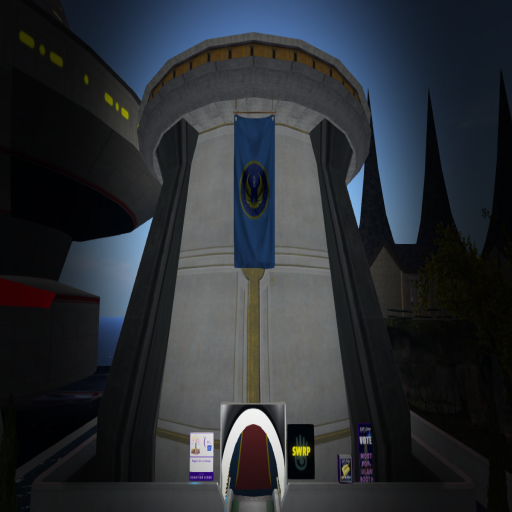 A view we know that Darth Traya had so long ago. This group is led by at least three. Two are known as Darth Nox and Raptrous and the third has not been verified. Chih aru Onohara begins by saying citizens of Onderon and visitors of the Galaxy, we are gathered here for the most important ceremony of Onderon’s traditions. To crown a new monarch. 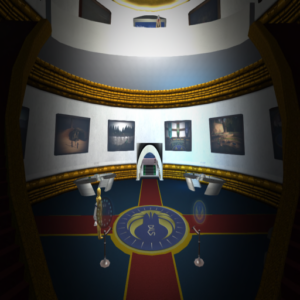 Onderon’s current monarchy has stood for over four thousand years. It began with the Ancient Dark Lord of the Sith, Freedon Nadd. It continued with many descendants all trained under Freedon Nadd’s leadership. King Ommin and his father and grandfather before him, and Queen Amanoa. Then the Dark Side was vanquished on Onderon and Queen Galia ascended the throne, soon marrying Oron Kira, the leader of the beastriders that dwelt in the jungle. Their marriage ended millennia long wars and brought peace to Onderon. Though it was not to last. Soon the Mandalorian wars ravaged across the Galaxy, beginning right on our moon of Dxun. 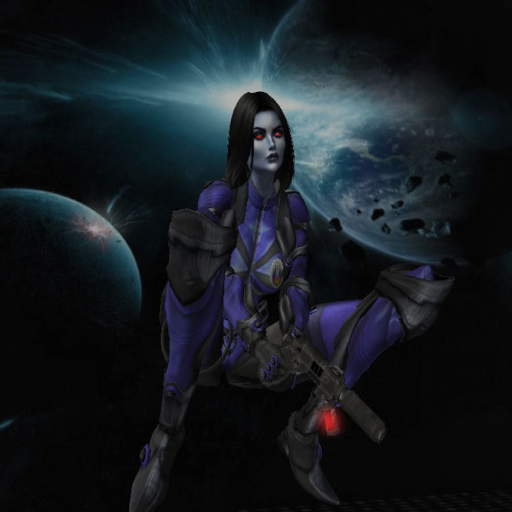 Onderon was liberated by the Republic, and Queen Talia ascended the throne..
Chiharu Onohara gestured gracefully to the knelt Princess, “Now we have her daughter, Princess Passion Kira. The Queen has proclaimed her ready to ascend to her rightful place on the throne and take up leadership of the Onderon people and the Japrael sector. To prepare her we anoint her with the Oil of the Sun.” she turned towards a small covered box near her and lifted the cloth covering, revealing a golden bottle, which she took in her hands. “Samples of molten rock were taken from our sun Japrael long ago and ground down, and an oil made with the mixture. It is a rare substance, as we are unwilling to take any more of our precious sun than what is needed.” she held the bottle up so all could view it, before she turned to face the princess. She opened the bottle and dipped her fingers in carefully. “I anoint you, Passion Kira, with the oil of our Sun, so you may ascend to the position you were born to.” she rubbed the oil in the shape of a round circle, their sun, on Passion’s forehead. The crowd cheer and shouted and chanted Long may you reign. Passion Kira stood up, holding up the scepter to display it before those gathered. She smiled at the gathering crowd, bowing before them all. “I vow to look after my people as long as I shall live. 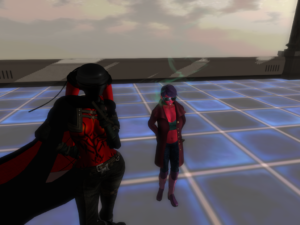 I hope I can rule as dedicated as my mother did before me.” Valara Drayen-Kira walked up to the crowd, placing a hand on her daughter’s shoulder. “Long may she reign!” she said, in an elevated voice. “Many of you I am sure are wondering why my daughter is taking her place as Queen now, rather than upon my death as is customary. The truth is we have a great announcement to make. One that will affect the galaxy as a whole!” she then continues, “First of all I would like to thank you all for coming. We are having a ball with plenty of cake and booze after this is over and you are all welcome to attend for dancing and conversation.” she continued, “As for my big announcement, the reason I am stepping down as Monarch is because I am moving to larger tasks. Since the Sith all but destroyed the Republic in Coruscant, I have decided to work on a reformation. We will be bringing back The Republic to once again, a stronger Republic. With the Grand Army once again taking it’s place as the Grand Army of the Republic. We will be based on the planet of Chandrila, and hope to usher in a new era of peace and security. I will be taking my place as a Senator of Onderon while my daughter leads the people here at home.” Passion Kira smiled at her mother, stepping forward a bit. “Onderon will be the first to join this New Galactic Republic. Many more planets have come forward to join after we sent our Ambassadors to them. 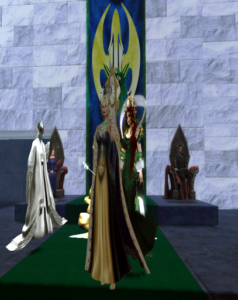 We are hoping many more will soon follow and once we are set up will elect our first Supreme Chancellor.” Valara Drayen-Kira nodded at her daughter, “This concludes my announcement. 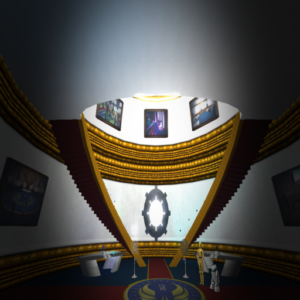 If you have any questions or are a planetary representative who has interest in joining the New Galactic Republic, I will be happy to speak with you at the ballroom.” she replied, then politely nodded at everyone, before heading inside and up to the ballroom. SWRP came out in full force at Sci-fi Expo. There was seven SWRP group supporting this event in aid of RFL for cancer research. 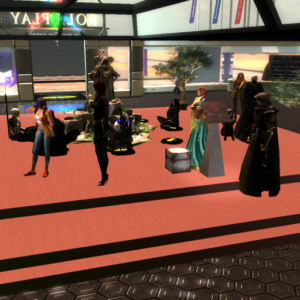 SWRP Morning Group, Star Wars Legends Planet Roon, Dark star custom lightsaber, Tython’s NJO, GNW, Talus, and Nar Shadda Ascendancy/GFFR Embassy. The event started May 12th and ended Yesterday May 20th. If you weren’t there you missed a treat. The event Kicked off with an opening ceremony. 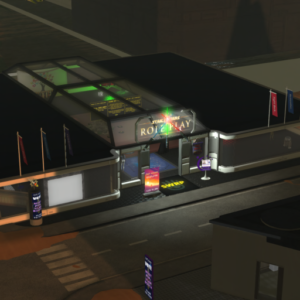 during the event, there were parties with DJ, movie nights, a live band, game nights, and most popular booth. 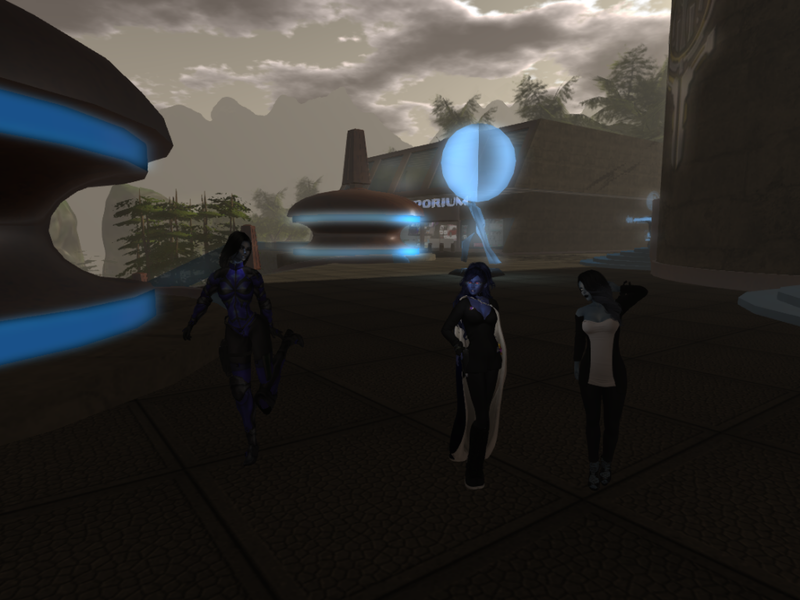 SWRP Morning group put on a dual. The Grand Army of the Republic put on a Ted-style talk. Everyone had the most beautiful display of booth representing their group. 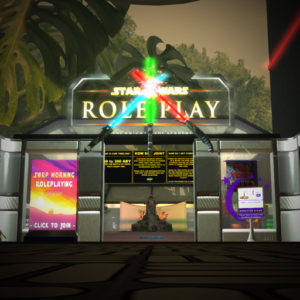 There was even a little competition between SW RP and Star Trek. Even though I like trek and star wars SWRP put Trek in their place. 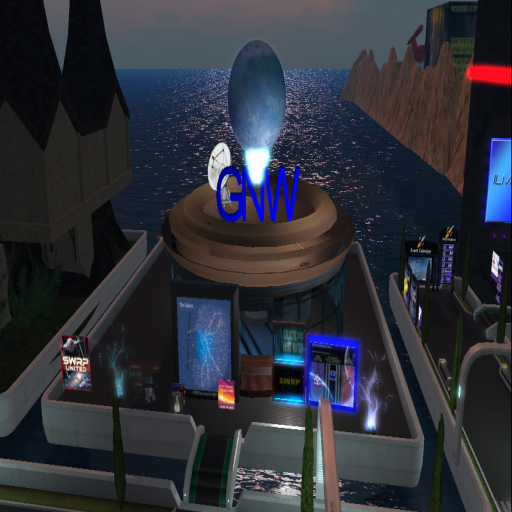 Mainland SL waterfront – ships can “fly” to distant stations or ships across 1000s of sims! 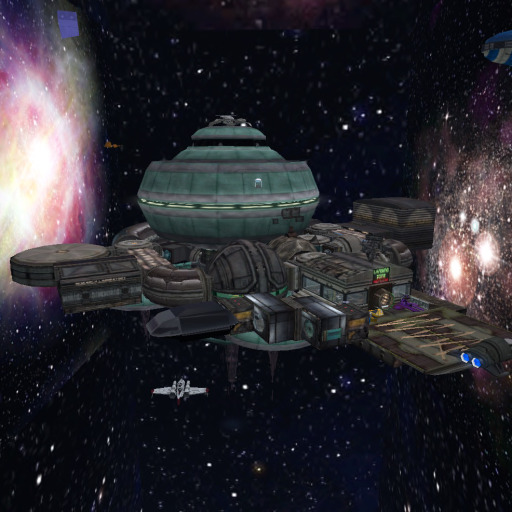 The members of the Chiss Ascendancy travel to Yavin IV and GNW had the chance to confirm rumors of whether they had the desire to join the Galactic Federation of the free Republic. 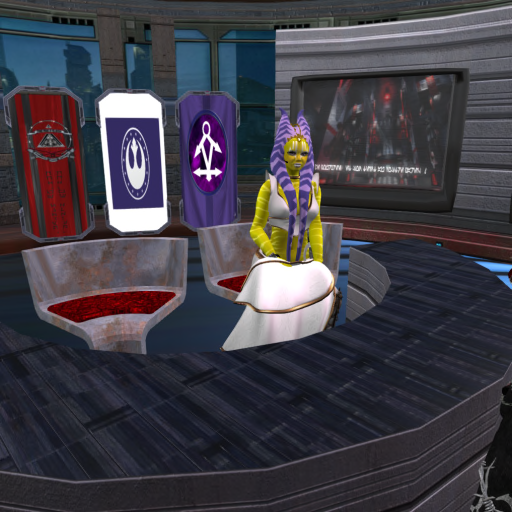 We had spoken to Aristocra Tilz’enro’sabosen of the House of Sabosen, Jettha’niara’Csapla of the House Csapla, and Ethsn’ant’thamac of the House of Thamac.